I am a firm believer in free speech. But even if I wasn’t, it wouldn’t matter in this country because it is the law of the land backed by the constitution. So that if someone got up on a podium and made an antisemitic speech, he has the right to do so. Or does he? I don’t think the answer is that simple. That was issue before the Supreme Court in 1919. The question then was whether one could promote opposition to the draft during World War I as a matter of free speech. At the hearing, Supreme Court Justice Oliver Wendell Holmes famously declared that freedom of speech does not mean that ‘falsely shouting fire in a theater and causing a panic’ is protected by the constitutional guarantee of free speech. Writing for a unanimous Court, Holmes argued that promoting opposition to the draft presented ‘a clear and present danger’ to the government's recruitment efforts during the war. Freedom of speech is then limited by the damage it can cause to the public welfare. How far does that go? That was tested again in 1977. A group of neo-Nazis had asked the village of Skokie for a permit to hold a rally and march in one of their parks. Skokie is a suburb of Chicago which is heavily populated by Jews, many of them Holocaust survivors. The petition was ultimately denied and the village and placed an injunction against them - forbidding them to it. that decision was upheld by the lower courts. But with the help of the ACLU the Supreme Court in a 5-4 split decision overruled the lower courts - reversing their decision. That allowed Nazis to speak in one of Skokie’s parks. For me, it is unclear what exactly a clear and present danger is. If a speech is likely to incite a riot endangering the public welfare – is that not a clear and present danger? I guess the Supreme Court at the time did not believe so, at least 5 of the 9 sitting Justices felt that way. A controversial rabbi who claims sick Jewish children are being punished for sins in a former life has been banned from entering Britain, ahead of a speaking tour of London synagogues. 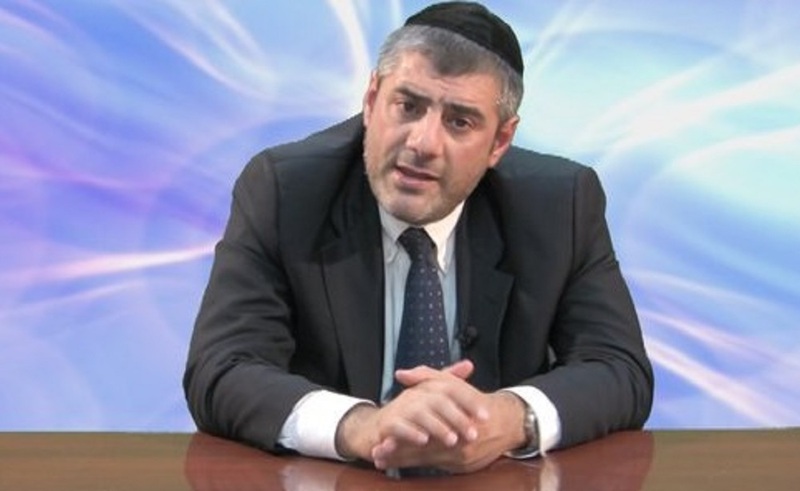 Rabbi Yosef Mizrachi who has 200,000 followers on social media, was to be hosted by Charedi rabbis in north London. Had this been the approach by the Supreme Court in 1977, those Nazis would have been denied spewing their hatred. Correctly so. Can anyone even begin imagine how the many Holocaust survivors in Skokie felt about the fact that in their new home in America a newly minted ‘Hitler’ was allowed to spew his venom about them? After all they suffered?! Back to Mizrachi. This is not my first discussion about Mizrachi whose his representation of Judaism is reprehensible. That he has over 200,000 followers is mind boggling. Scary even! As if that isn’t enough, he said that people like me that dare to criticize him are worse than Hitler! What makes this even worse is that he is involved in reaching out to secular Jews in order to convince them to become observant. He claims success. Which may be the biggest conundrum of all time. How in the world can someone using his technique convince anyone to become observant? I would think it would do the exact opposite: chase Jews away from observance. He claims that he is only telling the truth about Judaism. That other outreach groups do a disservice by sugarcoating it. And that people have a right to know the consequences of sin. Not only the rewards of observance. But the venom he spews is mostly based on his own contrivances and half truths. The beauty of Judaism is destroyed by his rhetoric! Replaced with a false narrative that describes observant Judaism as a version of Dante’s Inferno! The damage someone like that can do to a listener’s psyche is incalculable. Can anyone imagine for example how a Jewish child or his family feels after being told that he is suffering now in life because of the sins of a past life? Sure, there is a stream of thought in Kabala that says when sinners die without repentance their souls are reincarnated in a way that will serve as penance for their specific sins. But this is not a universal Jewish belief. To focus on something like that as though it were an indisputable fact and it is heard by a child who suffers a specific illness is enraging! Even if he believes in reincarnation, how can he say something like that?Has he no compassion for suffering children who might hear him? That is just being plain old fashioned cruel. And doing it in the name of God who is by definition merciful is - in my view blasphemous! If as I suspect he is free to spew his venom freely with a constitutional guarantee - then he must be boycotted . Apparently the kind of psychological damage he can cause to others does not amount to falsely shouting ‘Fire!’ in a crowded theater. Sure, Judaism has consequences for sin. But to make the kind of statements Mizrachi does makes a mockery of what Judaism is all about. We need to protest with vigor anyone that describes Judaism as a version of Hell. This should not be allowed to happen without protest. We can’t change the law. But we can protest him if and when he ever speaks publicly. Free speech protects that too. The numbers protesting him should overwhelm any size audience duped into coming to hear him speak. We must be clear and deliberate in our opposition to his attack against the pleasant ways of the Torah. And make sure that message outshouts his! In the meantime, I call upon all rabbinic leaders from across the spectrum of Orthodoxy to condemn this man once and for all. In writing. Knowing about him and saying nothing is tantamount to complicity in my view. A few years ago, an advisory letter signed by a number of prominent rabbis from a wide spectrum of Orthodoxy warning the Jewish community about Mizrachi - urging them to be careful about who is invited to speak in a Shul. It was released in late 2016 and is available here. My apologies to Allison Joseph who initiated it and worked hard to get it done. I knew about it, at the time but do not remember it ever being published. It was. And she deserves a great deal of credit for this accomplishment. That said, I wish the language would have been stronger and that more prominent Rabbonim would have signed it. Why they didn’t is for them to explain.